PB wrote notes everywhere, at any time, and on any available scrap of paper throughout his long life. Many of these notes were later transformed into his books, starting with A Search in Secret India and concluding with The Spiritual Crisis of Man. Many more were filed away into a large collection of notebooks, which were divided into twenty-eight categories or main topics. Over a period of eight years Wisdom's Goldenrod students of Anthony Damiani keyboarded, culled, organized into manageable groups, and published this material as The Notebooks of Paul Brunton. 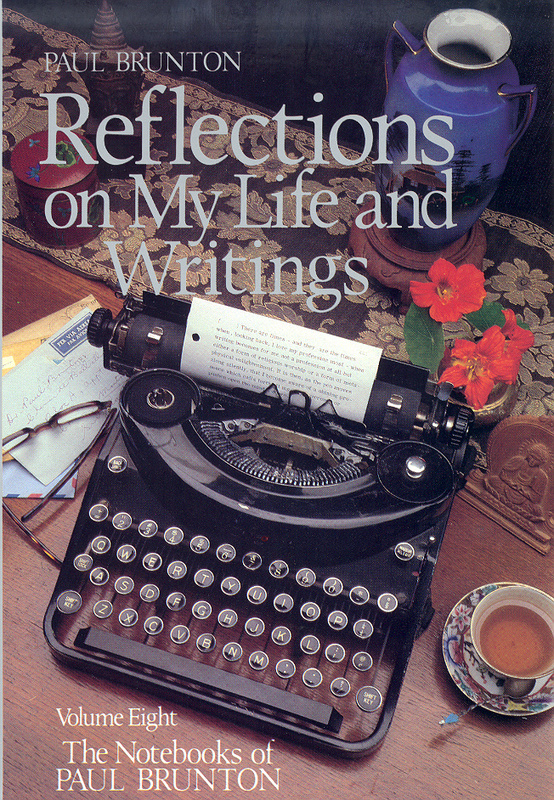 This is truly a treasure-trove of thoughts, observations, and intuitions garnered over a lifetime of external adventures and interior awareness. While it may take another lifetime to study these, it only takes a moment to search by subject, or to let the computer gods pick a random para for you. We hope that you discover new thoughts, receive guidance, and are touched by PB’s own inspiration as you explore this remarkable collection. From time to time we will post Commentaries on PB's ideas and writings. Click here to read and search the free and complete Notebooks. All of the Notebook volumes can be purchased at our store and digital eBook editions are available from major online book retailers such as Amazon and Barnes & Noble. The sixteen volumes, which contain the original twenty-eight categories of The Notebooks, are summarized below. Click here for a complete listing of chapter titles and subheadings for each volume in the series. Volume 1 Perspectives: This ‘sampler’ volume contains representative paras from all 28 categories of PB’s Notebooks; it is a fantastic introduction to these categories, and a steadfast companion. This volume was prepared under the watchful eye of Anthony Damiani, and sets the tone for all the subsequent volumes. Since PB wanted al 28 Categories to be studied as group, the brevity of this text makes it possible to see the many interconnections between them, and to glimpse PB’s total vision of Spiritual Philosophy. Volume 2 Overview of The Quest (Category 1): As the title indicates, this volume establishes a broad view of the spiritual and philosophic quest, including what it is all about, why it is so necessary and valuable to human life, why we must eventually come to it in the unfolding of our lives and the general guidelines as to how we will proceed. While the first few chapters of this book are geared for the novice and the merely curious, the later chapters will quickly become a reference guide. The issues of self-reliance versus affiliation with a group, doctrine, or teacher will likely crop up more than once during one’s journey—and at such moments, PB’s unique ability to objectively lay out the pros and cons of ‘to join or not to join’ proves invaluable. 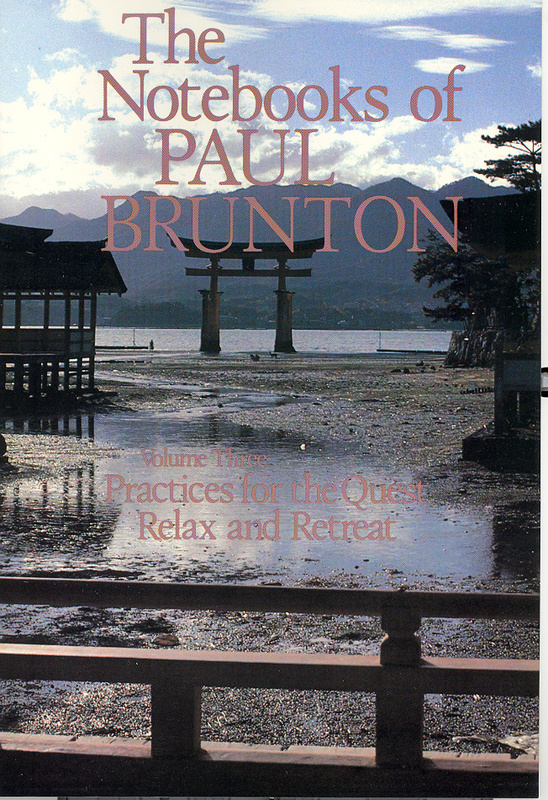 Volume 3 Practices for the Quest / Relax and Retreat (Categories 2 & 3): The first half of this volume focuses on what PB terms “the Long Path”—the work of character development and transforming the psyche into a vehicle capable of withstanding the powerful forces unleashed in deep meditation. We all must begin here, and will often have to return as various incidents in our life re-awaken old habits and issues. The second half of this volume is fun! Here PB discusses the critical importance of relaxation and (short-term) withdrawal from the hubbub of society, family, and ourselves. PB explains the place of absolute solitude in the seeker’s life, and emphasizes the capital importance of taking retreats throughout one’s life. He also has given us some exquisite paras on Nature, the Sunset, and Solitude. 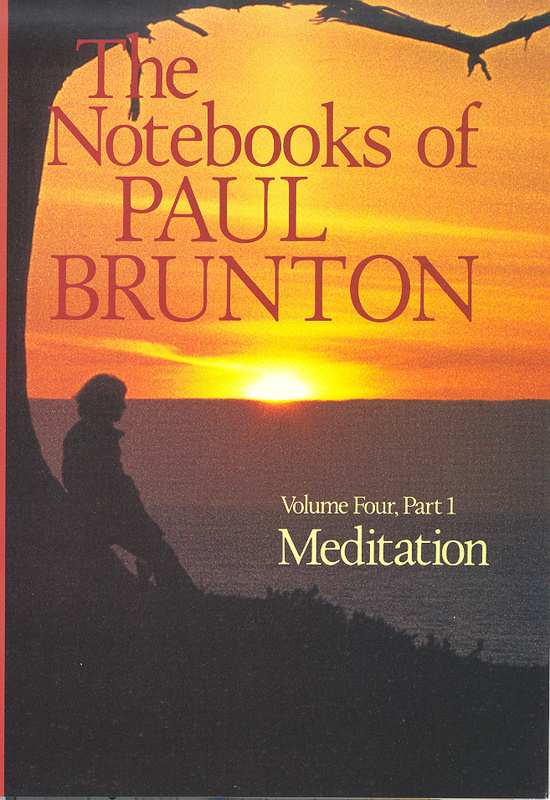 Volume 4 Meditation / The Body (Categories 4 & 5): The category “Elementary Meditation” addresses all of the questions we have when first undertaking meditation: why, when, where, and, most importantly, how? This material is remarkable because PB presents the basic methods of early meditation as practiced by Christians, Buddhists, Hindus, Native Americans, and Moslems—sometimes so identified, and sometimes not. The middle section addresses the sorts of meditation helpful to the Long Path (see Category 2 above); the last section prepares the way for Advanced Contemplation (see category 23 below). The other category in this volume is “The Body;” much of this material was radical when it was written, but thankfully is less so today. The importance of a vegetarian diet, fasting, and conscious relationship to our bodies is not to be forgotten, however, and a study of this material may well clean up a few bad habits! Volume 5 Emotions and Ethics / The Intellect (Categories 6 & 7): The first topic, Emotions and Ethics, directly follows upon the purification of the body and its habits. This is a key issue for the Long Path: many of us can either undertake the (rigorous) purification of the body or exercise our Intellect—but we often evade the labor of character refinement and emotional transformation. PB identifies a variety of essential virtues—love, compassion, courtesy, tolerance, and moderation—to name a few. He takes a look at the contexts in which these apply, and has some interesting thoughts on several ‘virtues’ often associated with the mystical life. The second topic, the Intellect, is rightly paired with Emotions and Ethics, for our (lower) mind is only as good as its last emotion! Conversely, a well-disciplined and active intellect can go a long ways towards transmuting negative emotions into more positive ones. PB includes the topic of Metaphysics here, and the final chapter is titled “Intellect, Reality, and The Overself.” He will return to these themes later, though not only as they are intellectually understood but as they are experienced. 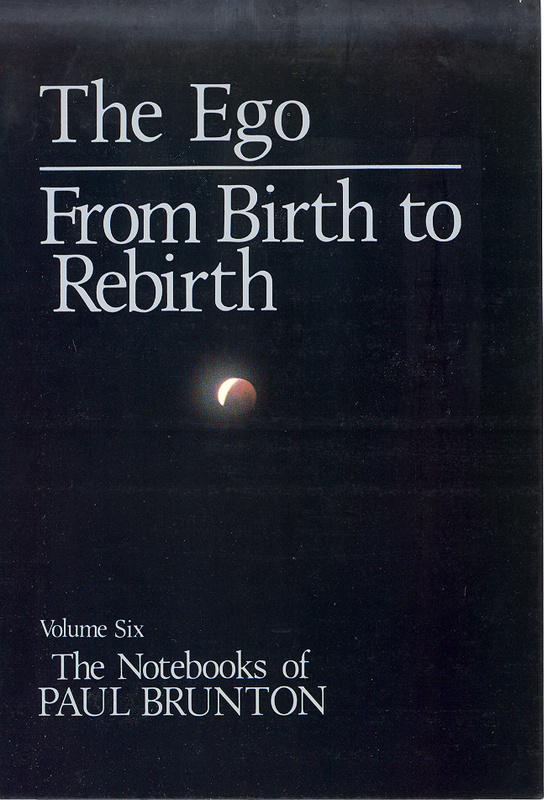 Volume 6 The Ego / From Birth to Rebirth (Categories 8 & 9): With this volume, we come to the heart of the Long Path—and that element of it which we ignore—and ignore at our continual peril. That is the Ego. Several of these Volumes of PB contain material that is truly unique and invaluable to any spiritual quester, regardless of their lineage or inclination towards independence; this is one of them. So much so that Anthony Damiani, his primary student, wrote a book based on this volume titled “Standing in Your Own Way.” Study it. And don’t leave it behind when you “progress” to higher things. The second topic here, “From Birth to Rebirth” is interestingly titled, and contains some amazing material about dying, death, and the afterlife. PB gives us a unique context with which to regard reincarnation in his treatment of karma, fate, destiny, and free will. 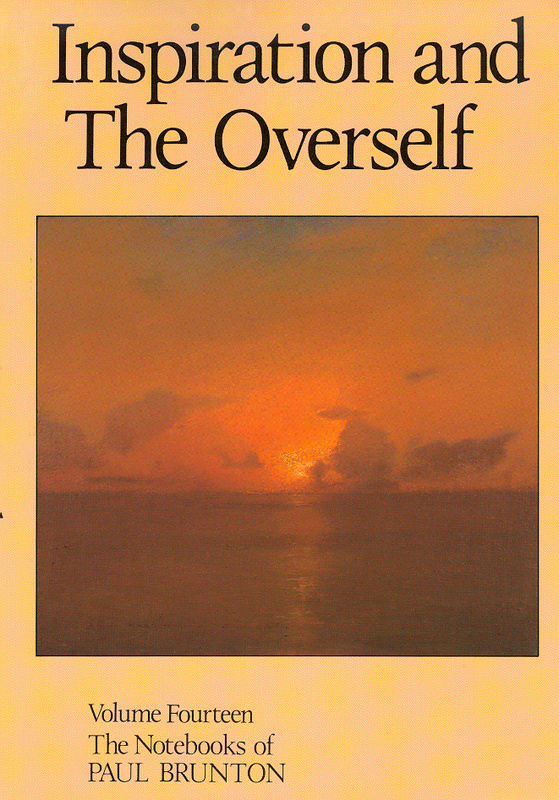 Many issues are considered from the divergent perspectives of the participant (us) and the principle (the Overself). His approach brings clarity to issues that provoke radically contrary views: for example, once we realize that free will is true in one light and false in an another, we can better navigate the teachings and practices of many different traditions. Volume 7 Healing of the Self / The Negatives (Categories 10 & 11): The placement of this first topic—after the subject of Death (at which point it would seem irrelevant) is, however, correct. We need to have first studied the forces of karma, fate, destiny, and freewill before we can understand what is possible (and why) and what is impossible (and why) when it comes to healing the body. There are also many useful comments on types of healers, up to and including the Overself itself and an emphasis on the healing of spiritual ignorance as the cornerstone of all healing work in our lives. The second topic—negativity—we now understand is thoroughly linked to the health of the body and the mind. This section goes on to address the expression of negativity in criminal activity, war, and, surprisingly, even in anti-war sentiments. 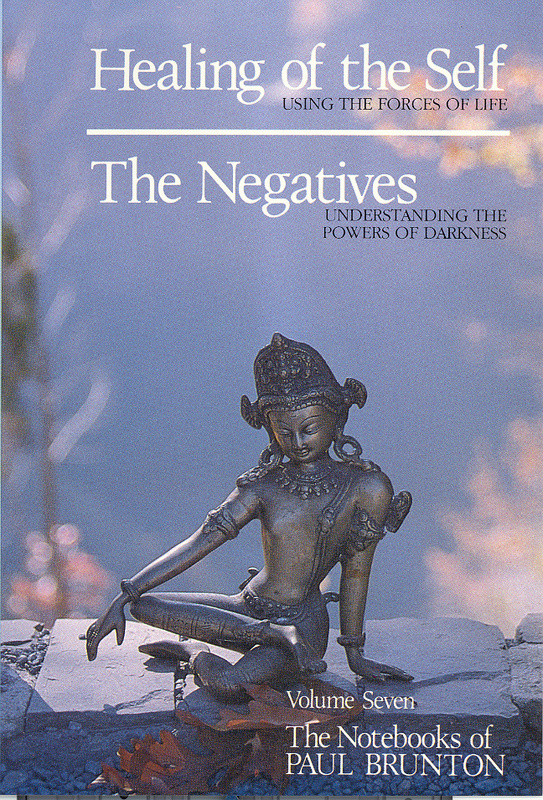 This section is shorter than one might expect, but PB’s basic view on dealing with negative states was, “Don’t have them!” Thus the categories addressing the Long Path (category 3 above), Inspiration (category 14 below), and Meditation (category 4 above and category 23 below) really belong ‘inside’ this book! Volume 8 Reflections on My Life and Writings (Category 12): This volume is as close to an autobiography as PB gets. While there is little about his personal life and history here—topics that seldom held his interest—there is a great deal about his life as a traveler, seeker, meditator, and spiritual author. Chapter 5, “The Literary Work” is a remarkable combination of PB’s own critique of his works, his acceptance (and rebuttal) of his critics, and, most importantly, a unique description of how a sage writes. Two additional chapters stand out in particular: “Reflections on Truth” and “The Profane and the Profound.” The former reveals the thoughts of an individual who lives far, far above the familiar world of our own consciousness, and the latter shows us PB’s humor and his comfortable relationship will all things ordinary. All in all, this volume is a refreshingly disarming collection of observations, reflections and anecdotes scattered across the many years of PB’s remarkable life. 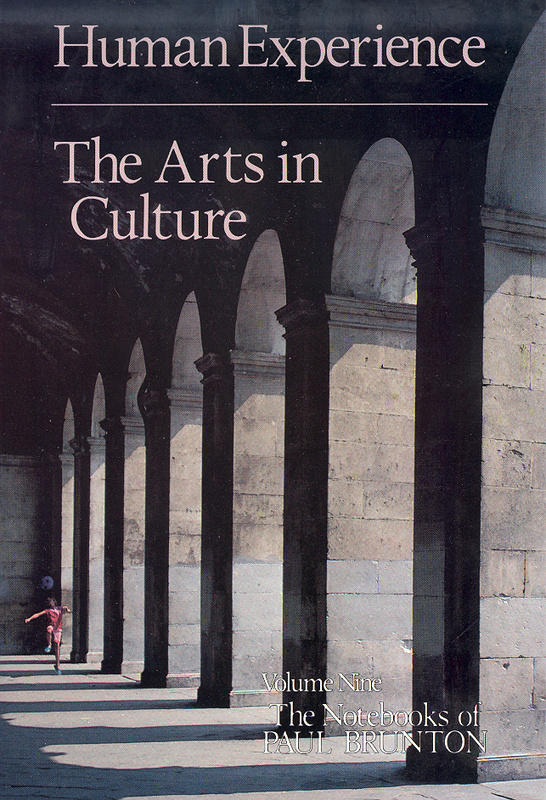 Volume 9 Human Experience / The Arts in Culture (Categories 13 & 14): Part One of this volume addresses the ‘secular’ aspect of everyone’s life—even that of a hermit. It includes discussions of youth and age, politics, marriage, business efforts, and most importantly, the on-going world crisis. PB incorporates these into our spiritual journey, and shows us how to incorporate our spiritual journey into these arenas of daily life. Where the first half of this book addresses the challenges and tedium of modern life, the second half takes a look at the positive and negative faces of art with respect to the quest. PB casts his inner eye upon the modern art world, and differentiates between those works conjured out of the ego and those works inspired by the Overself. He is not interested in exploring “art for art’s sake” (for that is not his job); he is solely focused on “art for the quest’s sake,” which regards these things with quite a different eye. What may be attractive and powerful to the psyche may prove a sticky distraction for those seeking to sustain the subtle refined vision required for deep contemplation. While often critical of modern art, PB balances his criticism by providing many specific examples of genuinely inspired art—art that is essential to the refinement of individual feelings and the enrichment of human society. 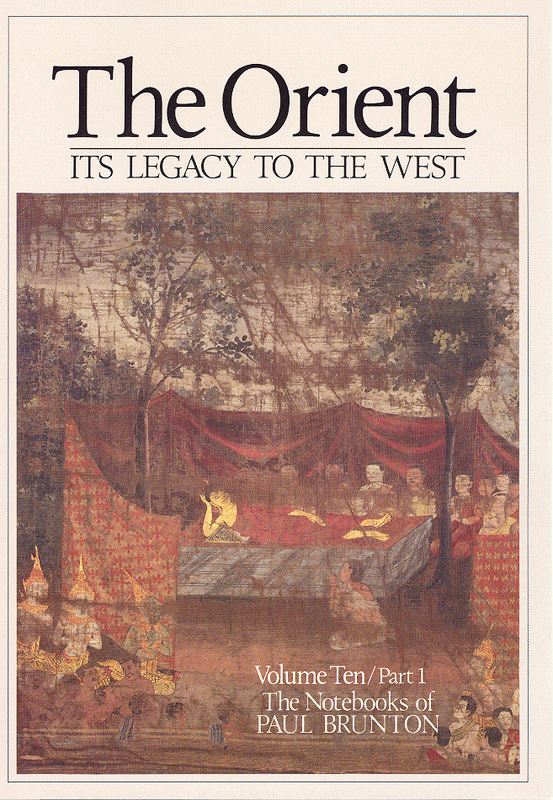 Volume 10 The Orient: Its Legacy to the West (Category 15): This volume is sometimes overlooked as dated. And it is dated—today! While we have all heard a great deal about the cross-pollination of Western Science and Eastern Mysticism, we still have a long way to go before any new fruit is born. Before we look to some future Utopia, we should at the ground beneath our feet, beneath the feet of all of us. Each culture has responded to the Spiritual Impulse differently, and applied that impulse to daily life differently; it is likely that solutions to problems we cannot resolve already exist and it is inefficient, not to say oddly lazy, to ignore these solutions. We are likely to be very familiar with some of the cultures described here—but we are equally likely to be surprised by some of PB’s observations regarding them. 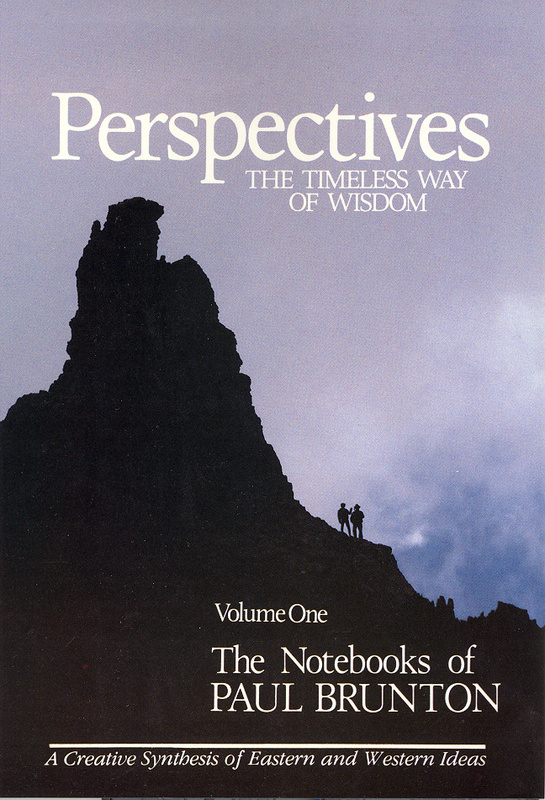 The same observation applies to the many individuals mentioned in this volume—especially those whom PB knew in India; there are many fresh insights to be found here, and we should always keep in mind that part of PB’s teaching is to directly illustrate the principles of philosophy as it manifests in the lives of individuals around the world. 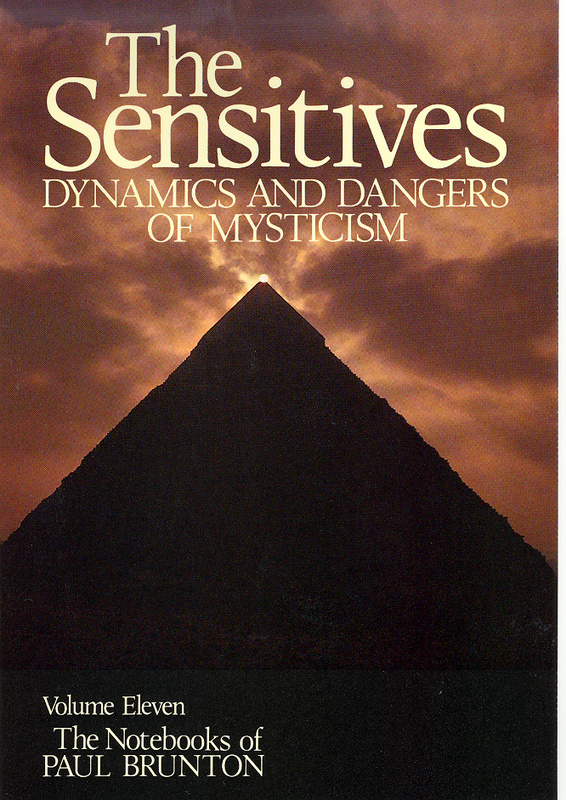 Volume 11 The Sensitives: Dynamics and Dangers of Mysticism (Category 16): Perhaps it is no accident that this category is double that of PB’s discussion of the Ego (#8 above); it surely is the natural heir to that topic. In the current climate of Instant Enlightenment and “Don’t Worry Be Your Happy Self” PB teaches us to look beyond these attractive—and sometimes authentic—moments of realization to the more impersonal, durable, and universal paths of philosophy. In this single volume PB fully and objectively considers the resources, uses and abuses of the “intermediate realm”—the so-called psychic or subtle world. He gives us his views on money, mediums, channeling, drugs, and many other specific topics that we are bound to encounter in our mystic journeying. As indicated by A Search in Secret Egypt and his autobiographical paras, PB spent a lifetime around the occult and the esoteric, and encountered the full range of its practitioners, from the shallowest of charlatans to the most revered of saints. The sheer size of this volume is a testament to his researches; there is no better guidebook for the sincere spiritual seeker, no better source for determining what is spiritually destructive, what is merely distracting, and what rare aspects of the esoteric are truly priceless. Volume 12 The Religious Urge / The Reverential Life (Categories 17 & 18): These two topics address the more public and the more private expressions of Faith respectively. 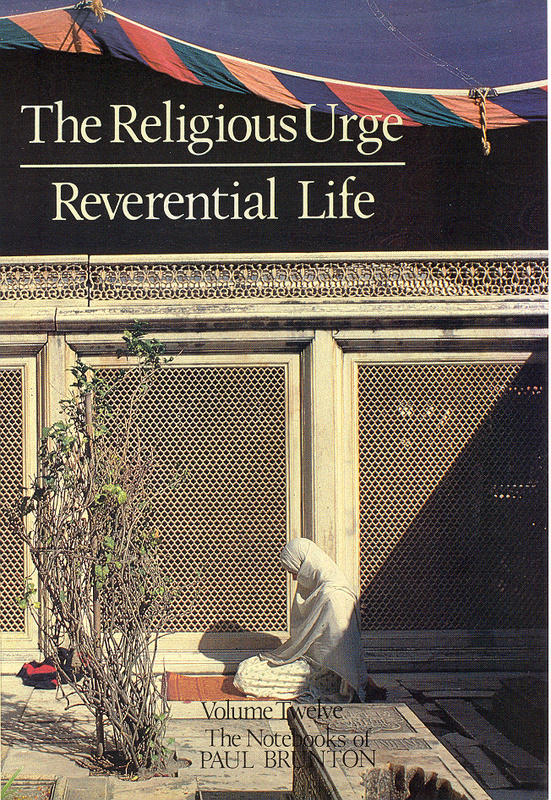 In The Religious Urge PB talks about the place—and there is a place—of traditional religion in the quest. He shows us the intrinsic strengths and the weaknesses which are fated to occur in all religions due to their collective nature. He goes on to examine the specific opportunities and challenges associated with all the well-known religions of the world today. He then concludes this section with a “Brunt-on*” examination of public religion in light of the ultimate work of philosophy, and, having shown us our place in the temple, invites us to step outside into the pure light. The second half of this volume shows us the means by which we can achieve that transition. The chapter titles themselves describe this text very precisely: Devotion, Prayer, Humility, Surrender, and Grace. Each chapter contains many exercises from an extraordinary variety of ancient and modern sources. While one size may not fit all, there are bound to be many practices each person will find suitable. 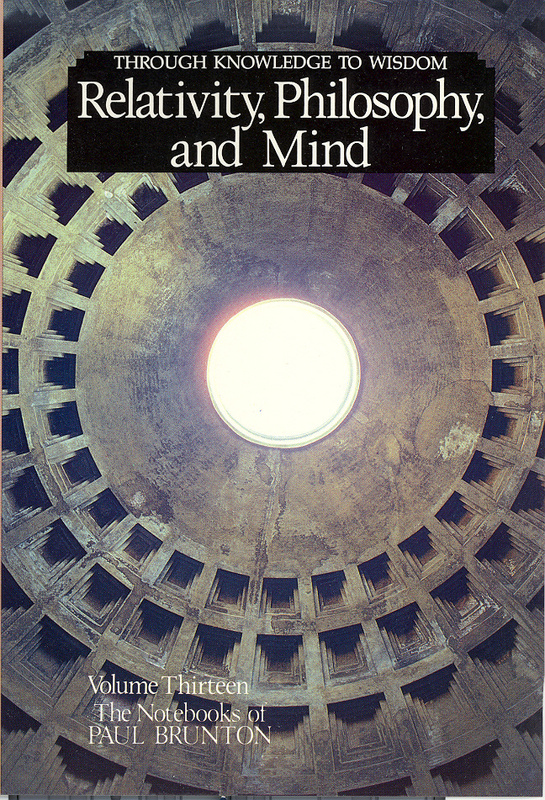 Volume 13 Relativity, Philosophy, and Mind (Categories 19, 20, & 21): This volume is very much the companion, commentary, and completion of PB’s earlier works The Hidden Teaching Beyond Yoga and The Wisdom of the Overself. There are three sections in this volume: “The Reign of Relativity,” “What is Philosophy?” and “Mentalism.” While the first section does include some comments on relativity as understood by 20th century physics, this section goes much, much deeper. The main emphasis is on what PB calls the double standpoint, of both immediate and ultimate consciousness—this is the true meaning of ‘being in the world and not of it.’ Throughout this section PB blends teachings of Hinduism (four states of consciousness) and Buddhism (the void as metaphysical fact), adapting the teachings of both these august traditions to the exigencies of our times. The second section addresses PB’s thoughts on Philosophy proper, the experiential philosophy of the world-wise mystic, not the world-weary thinker. PB’s says, “Philosophy cannot be limited to being some metaphysical system, or an ethical code, or a kind of logical enquiry, or somebody's opinions about this and that: it must give a whole overview, a fruit of enlightenment.” And while we’re waiting to be enlightened, PB lays out a series of essential elements of philosophy: synthesis (not eclecticism); practicality, service to the world, deepening mysticism; insight and treading the ultimate path. 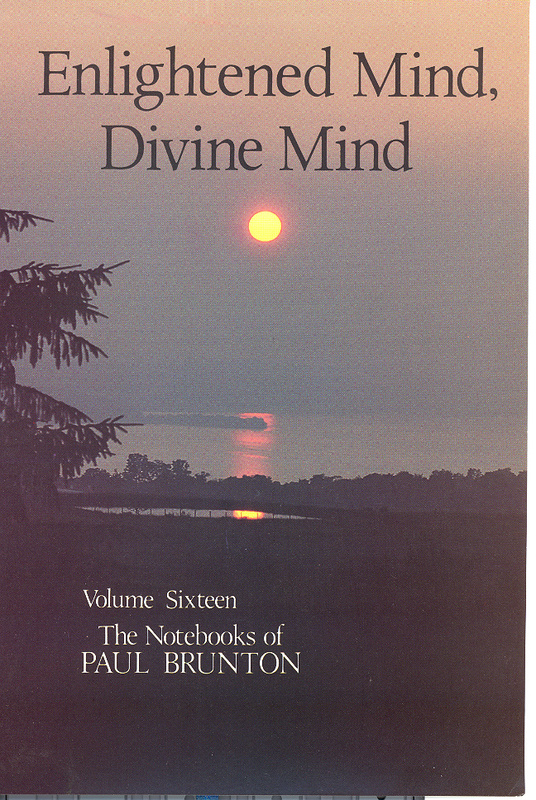 In the third section PB sets forth his full understanding of mind and consciousness. The immediate consequence of these reflections is to synthesize the previous two sections! PB also transmutes his writings on mentalism from the carefully reasoned presentation of The Hidden Teaching Beyond Yoga into (one of many) perfect spiritual paths—a path that the remaining eight categories will fully explain. Volume 14 Inspiration and the Overself (Category 22): This wonderful volume is dedicated to the variety of mystical experiences of the Overself. Many of the pages in this volume are practically visions in their own right, as PB is writing about these states while in them. He focuses largely on what he calls “a Glimpse,” by which he means a transient but real engagement with the Overself itself. Armed with the viewpoint of mentalism, PB teaches us the underlying principles for a Glimpse, why they must occur, and why they must depart—at least for a time. He explains how to prepare for a Glimpse, what to do during such a remarkable episode, and what to do after a Glimpse has passed. 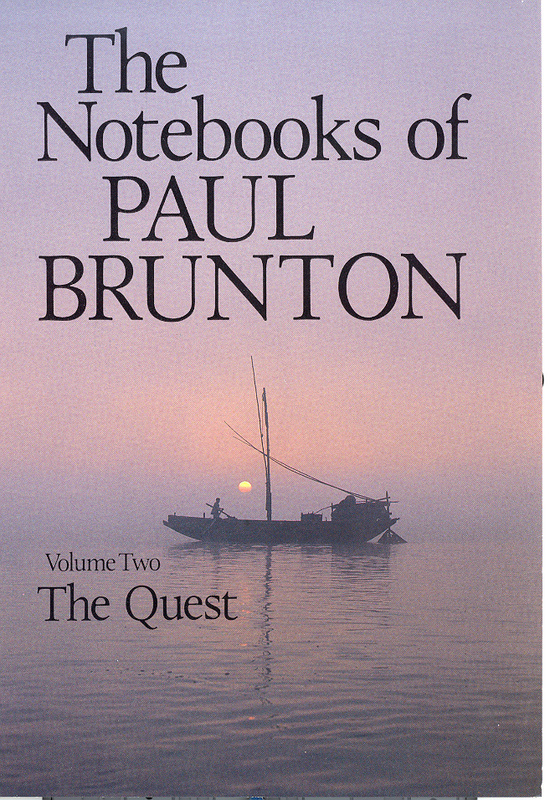 While there are some somber paras in this volume, the main tone throughout is one of Inspiration, and this book has long become a favorite of travelers and meditators familiar with the works of Paul Brunton. Volume 15 Advanced Contemplation / The Peace Within You (Categories 23 & 24): The first section of this book begins with an exploration of what PB terms “The Short Path”—a viewpoint often found in Zen and frequently identified in modern-day spiritual teachings as the ultimate state. The core practice of the Short Path is simply to seek direct contact with our higher Self by turning our attention fully—and effortlessly—in that direction. PB also explains how the Short Path balances the efforts of the Long Path, and how both must be maintained if we are to be successful in our spiritual endeavors. Then, as meditation goes deeper, PB presents new exercises the “As If” exercise, the “Witness I,” followed by “Contemplative Stillness” and culminating in Nirvikalpa Samadhi. Where the first section of this volume is somewhat linear and rigorous in its definitions, the second section is rather more free-form and open. There is an underlying Stillness which shines through these pages, and often the very reading of them induces a deeper meditative state—a state quite capable of remaining present throughout the days and weeks of one’s life. 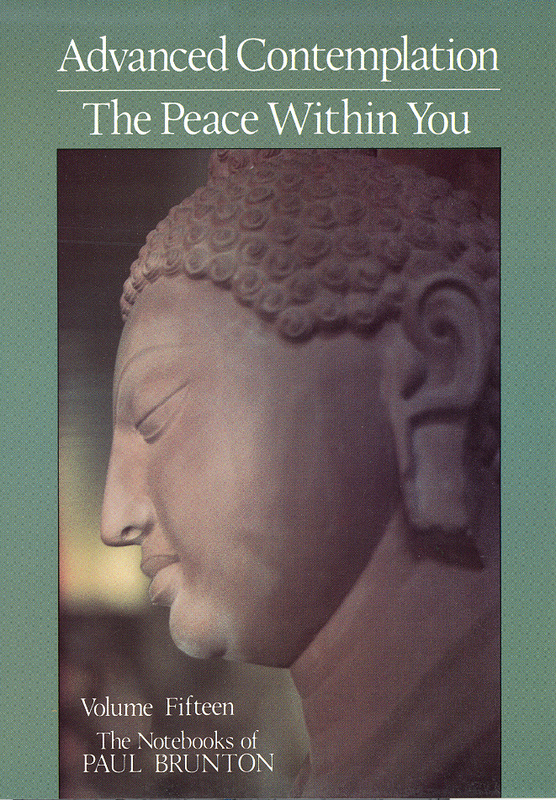 The chapters address the process of entering and leaving the deeper meditations. Hard copies from which this database was made can be purchased through our online store. 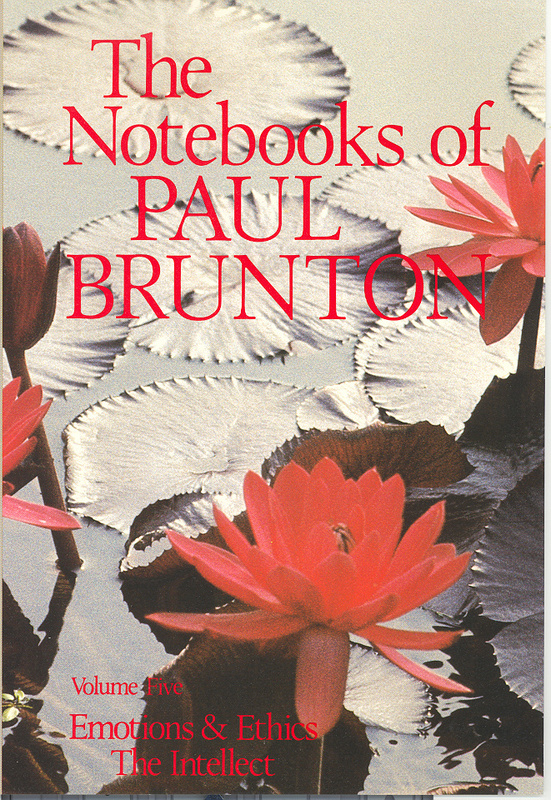 A CD of the full Notebook series (16 volumes) is also available for $75, as are several collections of PB’s paras as well. For descriptions of additional titles, see below. Cross-reference between PB’s original Categories and the Volumes of the Notebooks series. *Note: Volume 1 is called Perspectives and includes samples from every chapter of every category. Click here for Additional Publications, where you will find both Compilations, Small Books, and Biography and PB's Early Works.